A travel poster with a view down the colorful streets and architecture of the Alfama district in Lisbon, Portugal. 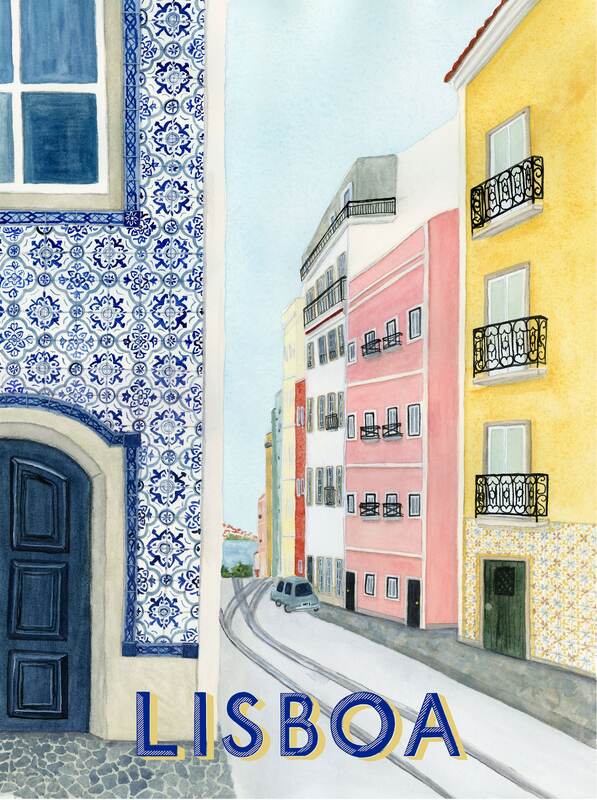 This Lisbon print is the perfect piece of wall art to commemorate a summer vacation to Portugal, or to satisfy wanderlust for a destination you have yet to visit! This travel poster is an art print of an original watercolor travel illustration. It is a digital print created in-house using pigment inks on acid-free paper to create a vibrant, long-lasting print that accurately represents the original travel art.